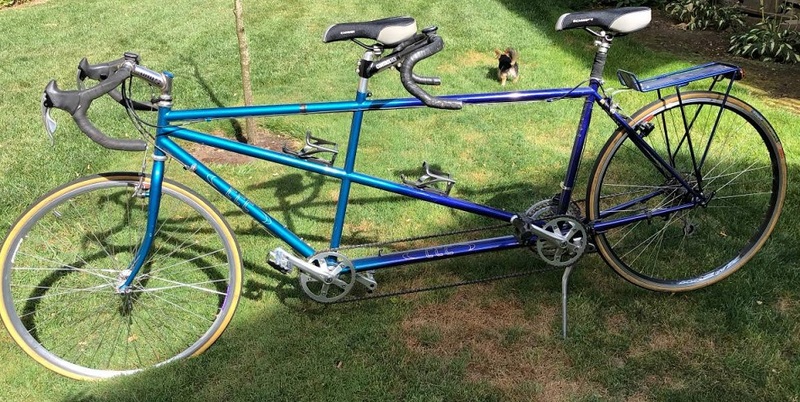 CYCLINGFORUM.COM -- View topic - Tandem/crank project. 11/22/18 3:04 PM Tandem/crank project. Got a nice no name chromo tandem, same running gear as the IBIS w/Sugino Forged cranksets. Shifters Ergo Campy instead of Shimano. Got a FFS Freewheel BB Schwinn for parts. This is a 70s drive system that the chainrings, cassette, and chain always move when the wheel is moving. Idea was you could shift not pedaling while and as long as you're moving. Plan, replace the tandem main crankset with the 39/52 FFS setup. Use the 52 to time to the captain flipped to the drive side. No front DR, rear will be a mega range DR and Cassette. Probably just do a MTN trigger shifter rear only, and some Mary Bars. Will use some speed dial levers and full length Linear V brakes. Our cranks will never be in phase, or seldom. But Stoker can stop pedaling while I spin into orbit. And with High BB and 170 cranks hoping this will work no issues. We don't exactly super bike lean in turns. Will update and include pics. Also planning to use a smaller chainring for timing up front so my cadence will be/always is much higher than Elaine approves, Plus I seldom stop pedaling, just ease off watts. Being the front and back will not be in phase, may as well take advantage thus. As procured for 200.00. Paid too much, but sizes right. ...which is why it died quickly. 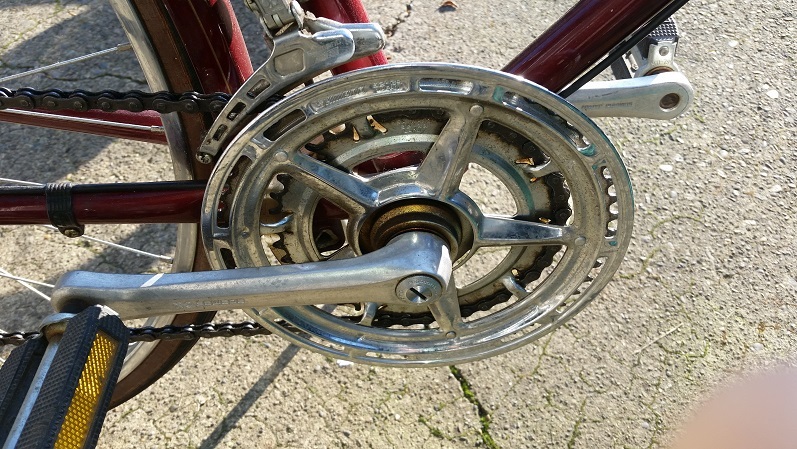 It was mainly used on low-end department store bikes and was basically a feeble attempt to make it easier for uninitiated (or lazy) riders to shift a front derailleur, as you could do so while coasting. I don't recall seeing the alloy-arm version in your pic, but I'd be really hesitant to put one of these on a good bike. I understand the logic behind your idea, but the parts are basically 40-year-old, obsolete junk. Another consideration is that the thickness and spacing of the chainrings may make it impossible to use more than a 7 or 8 speed cassette. I think it is 8 Speed now. well 3x 24 speed. Looking at it with the alloy arms and BB it looks like good quality, bot junk. It may be obsolete and 40+ years old. but the chain rings are steel and the bike looks like it was used little if at all. Chain isn't even stretched a little. Your stoker is not the first one who `just wants to coast for a minute.`And you're not the first pilot who would rather drive at 3/5 power unloaded than 3/5 power dragging a second pair of ankles. If this beast works, with the right business plan, you might just have shared with us the next big thing. Sometimes I kid. I'm not kidding.